Because nothing really beats the sight of a child’s face lighting up when they first put eyes on their very own bicycle. Each year, we collect hundreds of bikes, spend thousands of hours refurbishing them, and then, give them away to children in need during the holiday season. 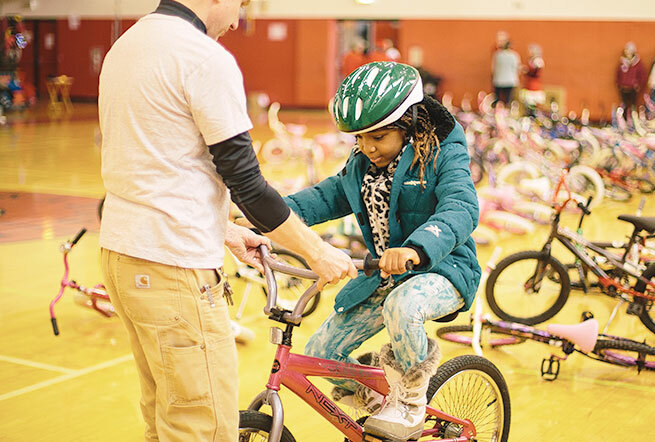 In 2015, our first Holiday Bike Drive, we gave away 60 kids’ bikes through five different partner organizations. In 2016, we refurbished 200+ kids’ bikes in just three months, and distributed them to kids’ from the School District of Lancaster. For the past two years, dozens of volunteers have dedicated thousands of hours helping us refurbish bikes for the Holiday Bike Drive.